Forget 2016, 2017 really is the year of the hack. Think about it, almost every day a story breaks about how hackers have broken into the systems of a company and stolen the information of its customers. And these intrusions won’t be going away anytime soon. If data is the new gold, then hackers are the pirates of the 21st century. What does this mean for a small business owner who is struggling to keep their computers secure while keeping the lights on? Well, one potential bulwark against intrusions is what is known as an SSL Certificate. These are digital keys which are used to encrypt all the data transmitted between a visitor’s computer and your website. Ok, this sounds great but for a small business owner who is struggling to keep their head above water doesn’t this just mean more work? Not exactly and it this article we will look at how to manage your website’s SSL Certificates. As mentioned, hackers are everywhere and they are become more brazen in their who they are targeting. Think about, the Department of Defense, Yahoo!, and even Equifax have all been targeted by cybercriminals. Sure, you are only running a small business but don’t kid yourself – you are a target also. The reason for this is that hackers love small e-commerce websites as many of them are so poorly secured that the owners will never know a breach has occurred until it is too late. When this happens, their sites will be dropped by their merchant card processors and their reputation will be ruined. As such, SSL Certificates offer another level of protection in the continue struggle against the dark forces of the internet. While these certificates won’t stop all hackers, they will make it harder for many to turn your website into their den of corruption. In addition, setting up an SSL Certificate is not complicated – even if you are relying on a shared hosting solution. 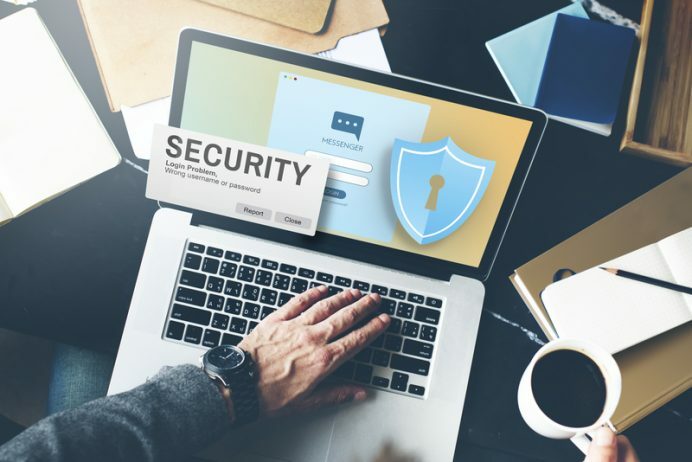 The good news for us non-tech types is that many Certificate Authorities offer what is known as certificate management. This helps website owners to ensure that the SSL Certificates used by their sites don’t expire. Think of it as a key part of managing your online presence and reputation. These services make it easy to manage multiple certificates without needing to be a cybersecurity wiz. In addition, many are cost effective and allow for immediate issuance of new certificates. One of the key parts of SSL Management is making sure all your certificates are current and this comes down to three steps. First, maintaining a certificate inventory. This will help you to track all the certificates for your account and if it is properly managed, then you should have single portal for each website. In addition, you will want to make sure the service you are using offers what is known as a ‘renewal snapshot’. This allows you to easily identify the certificates which are about to expire and decide what action to take. Second, this ‘renewal snapshot’ should also allow you to synchronize expiration dates. In doing so, you can schedule a regular cadence for certificate renewal and this will make it easier to manage the costs associated to securing your website for the year. For bigger (relatively speaking) companies, you might want to think about allowing multiple users to manage your websites SSL Certificates. Granted, this might not be the right fit in all cases. But depending on the size of your operation, it might make sense to have two people assigned to website maintenance. In this way, you can make sure that scheduled tasks and emergency maintenance happen in a timely manner regardless of vacations or other personal issues. The good news is that most hosting services already offer some sort of SSL Management. As such, management is often part of your hosting solution and this means that you can usually access and control the certificates via your providers portal. However, one thing that you want to check out is how to activate and install the SSL Certificate for your website as the exact steps will depend on your hosting service. Some of these steps can including making sure that your website has a dedicated IP address as well as a CSR code and then purchasing the SSL Certificate from your hosting service. While these steps are not overly complicated, they can be slightly confusing for non-tech people and as such you want to make sure you know how to reach your hosting service’s help desk in case you ever have questions.